This is fairly old news now, but there was an article in Wired magazine last year on MapSeq, which is a web application developed by Jacob, Olivo, Magnus and Dushy for working with genomic variation data from the malaria parasite. This is what you’d expect, because there is much more malaria transmission within a region than between different parts of the world. 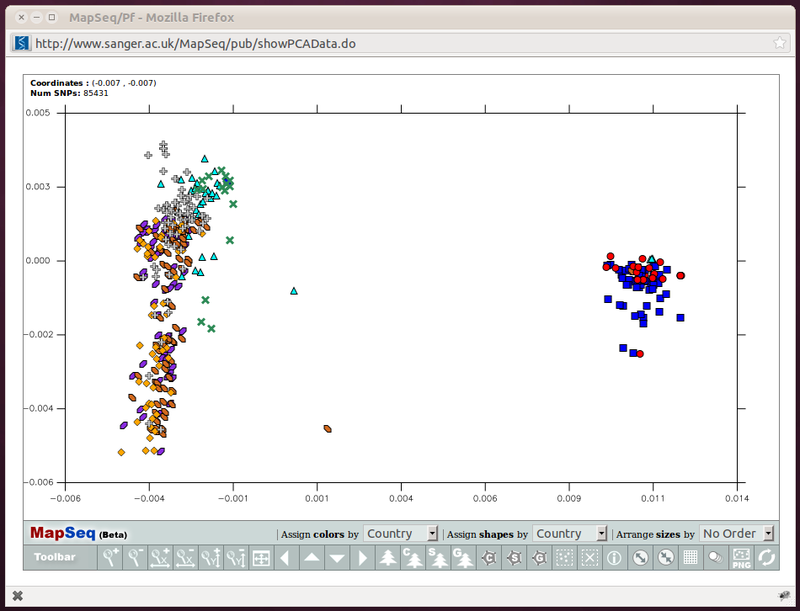 But the interactive plots really come into their own when you start to zoom in on a particular region. You can start to ask questions like, how different are the Thai and Cambodian populations from each other? Are there distinct sub-populations within Thailand or Cambodia?